The TOPS Scalpel knife is simple, small and sturdy! Perfect for lawmen, hikers, campers and bodyguards. Over ten years of positive reviews and feedback! The Scalpel is 7" overall with a 2 3/8" 1095 high carbon steel blade with a black traction coating. Full tang construction. 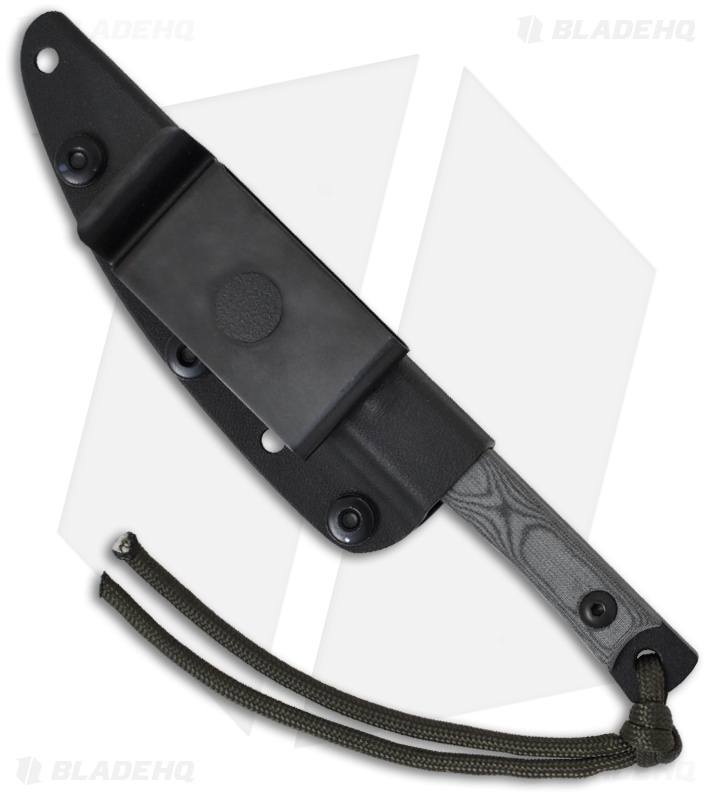 The handle scales are black linen Micarta with an OD cord lanyard. Includes Kydex sheath with lanyard hole. I purchased this knife a few weeks ago. The blade itself is fantastic. It definitely is meant for specific tasks and not others so keep that in mind. I would say for its intended purpose it's 10 out of 10 Stars. The sheath however leaves much to be desired. The quality of the Kydex and the rivets are top-notch. However the clip and its attachment point leave much to be desired. If your left handed this knife will always be backwards for you unless you only carry horizontally on your back. If you're right-handed and you carry horizontally on your back you can only carry blade up. The inability to move the clip, adjust the tension, or switch from right to left handed carry really hurts the effectiveness of what is an awesome blade. I have since removed the clip an added aftermarket clips until I found one that worked well for me using the holes where the rivets are located. How a knife is carried is just as important as the quality of the knife itself. I hope all knife makers will keep this in mind when designing their sheaths or their pocket carry systems. 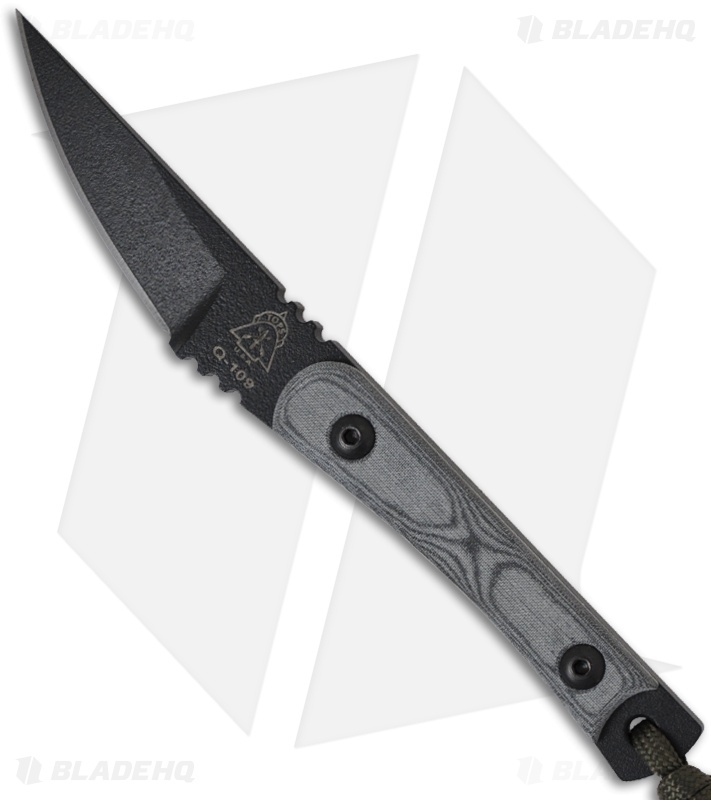 Its not often a fixed blade knife is easier to conceal and faster to draw than a pocket clipped folder but this one is. Clipped to my belt in the 1-2 o'clock posistion it can be covered easily then pulled super fast if needed which is a win win. Being made of 1095 it sharpens easy and holds a edge pretty well. 1095 does rust pretty fast on non finished surfaces so I just rub a little vegetable oil on the cutting edge every now and then and its fine. I've had this knife for a few weeks now and it works for everything! Love the knife and love TOPS quality, will definitely picking more up from them! If you're looking for a small pry bar that has an edge...and fits med/ lg hands exceedingly well while maintaining discretion as an EDC, this is a nice piece. I unboxed it at work and within an hour used it to open some thick packaging, clean up a cuticle on my right index finger, and pry open a malfunctioning car hood... yeah, it's like that. Just a great knife in a scalpel profile, thick full tang spine. Not really a neck knife, too heavy, but with that 360 rotation on the clip, perfect carry for me is horizontal along your belt. Here is the video: "http://www.youtube.com/watch?v=PES6WjPLCmA"